The trailer kicks off with some footage of Paul Walker as a young boy. Even at a young age, he had that million dollar smile and a charm about him. We then transition to various clips of Walker throughout his life, with some footage from the Fast and Furious movies thrown in. There are lots of interviews with people he was close with but the quote from Tyrese Gibson perhaps hits hardest when he says, "If you loved him the way we did then you would say, 'Well why him and not us?'" Here's the logline for the documentary. "Father. Humanitarian. Friend. Paul Walker's was a life fully lived, and his legacy of kindness and compassion continues to inspire others." I Am Paul Walker explores the life and career of the enormously popular actor who won over audiences the world over. The documentary features exclusive family footage and interviews with Walker's closest network of family and friends, including Fast and Furious franchise costar Tyrese Gibson and director Rob Cohen, Running Scared director Wayne Kramer, both of Walker's parents, his brothers Cody and Caleb and his sister Ashlie. The movie provides an intimate journey through Walker's childhood on the beaches of sunny California and his rise to action movie superstardom. The documentary also explores Walker's prolific movie career and showcases a side of Walker few knew, from his passion for the world's oceans and marine life to helping rebuild Haiti after the devastating earthquake and subsequently establishing his disaster relief NGO, Reach Out Worldwide. Paramount is following in the footsteps of I Am Heath Ledger, which took a similar approach in examining the life of the late star of The Dark Knight. The documentary is directed by Adrian Buitenhuis. This is also the latest collaboration between Paramount and Derik Murray. He has previously produced movies based on John F. Kennedy Jr., Martin Luther King Jr., Muhammad Ali, Bruce Lee and Chris Farley. Paul Walker was a part of the Fast and Furious family from the very beginning and helped turn it into one of the most financially successful franchises ever. 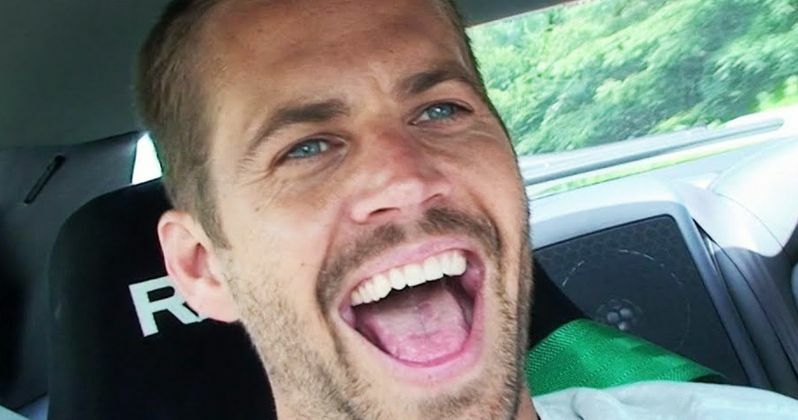 He was in the middle of filming Furious 7 at the time of his passing. His brothers helped complete his part for the movie, with the help of some CGI. Paramount Network is set to air I Am Paul Walker on Saturday, August 11. Be sure to check out the trailer for the documentary, courtesy of the Paramount Network YouTube channel, for yourself below.